The stories we carry in our bodies and in our communities shape our lives. In times like these, how do we access the power of our stories as a tool for political transformation? How do we tap into a vision of liberation that animates our stories with a sense of justice, joy, and possibility? What comes after the moment when we realize in our guts that our stories matter? Join Kaleo Center for Faith, Justice, and Social Transformation, and the incomparable Eleonore Wesserle for our next KaleoExpress – Stories Matter….so what do we do now? 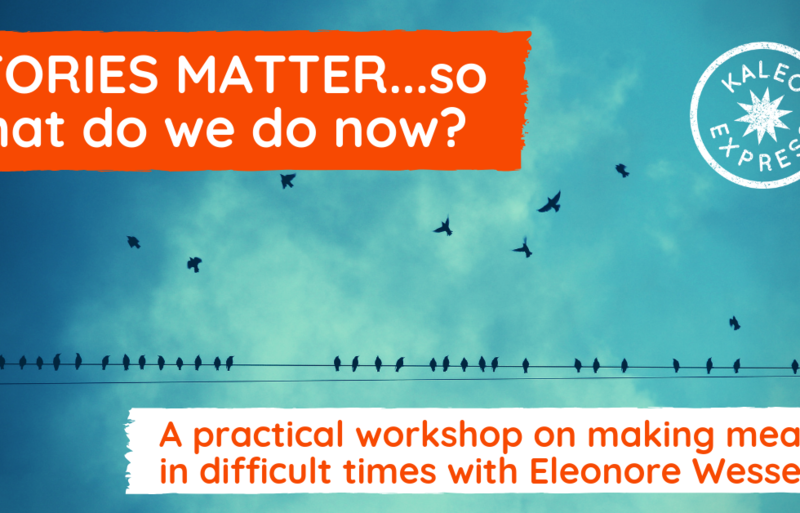 A practical workshop on making meaning in difficult times on Tuesday, October 23rd from 9a.m. – 10:45a.m. at Springhouse Ministry Center, 610 W. 28th St. MPLS. Eleonore Wesserle has spent the past 15 years working locally and nationally to re-define what it means to take on power through story and win. Eleonore invites people into fiercely generative ways to imagine themselves, their futures, and their communities in a time and in space of shared liberation. As a white-passing mixed-race queer woman of Black and German descent, Eleonore lives in the complexity of multiplicity and solidarity as she supports communities to build the trust and support we need to work more generously and more robustly towards justice. Here at Kaleo Center, we are profoundly lucky to call Eleonore our friend, and we are so excited to continue to learn with her as she expands her work in scope and substance. Eleonore Wesserle is the former Director of Narrative Strategy at Line Break media and the current founder and principal narrative strategist at Dreams to Power. Along with Kandace Montgomery of Black Visions Collective, she is also the co-founder of the new community resource Vision Labs – an organizing space grounded in creativity and abundance for collective practice and movement-making. In all of her work, Eleonore teaches individuals and organizations to use strategic communications to harness their dreams and create transformative social change. 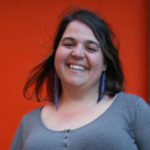 She has worked with a wide variety of national social justice organizations, community-based social change organizations, and critical political campaigns to build aspirational narratives, frame compelling campaign messages, supercharge social media engagement, and tell visionary, values-based stories to achieve social change goals. Eleonore honors her background in environmental justice and land-based works, and makes her home on the ancestral and occupied lands of the Dakota, in the territory of the Anishinabeeg, in the city of Minneapolis. Her Ignite talk on visionary story-telling has won wide acclaim for its insightful supplication of practical skills to the work of narrative political imagination, and her workshops continue to inspire participants around the country. Eleonore has served as a Community Voices feature writer with the Twin Cities Daily Planet, and as the digital content producer for the Midwest Mixed Conference, and continues this work for multiple ongoing justice-based issue campaigns.